Two weeks ago I stabbed a razor-sharp steak knife into Newcastle’s Miller & Carter restaurant, comparing their béarnaise sauce to Dulux emulsion paint, and castigating the baby food mush that came with their overcooked scallops, the tasteless risotto and wet, iron-tasting steak. Readers were quick to approve. “Ouch!” they went, followed quickly by “Reckon you saved us a few bob”. He’s right. £40 for a terrible meal is a ripoff. 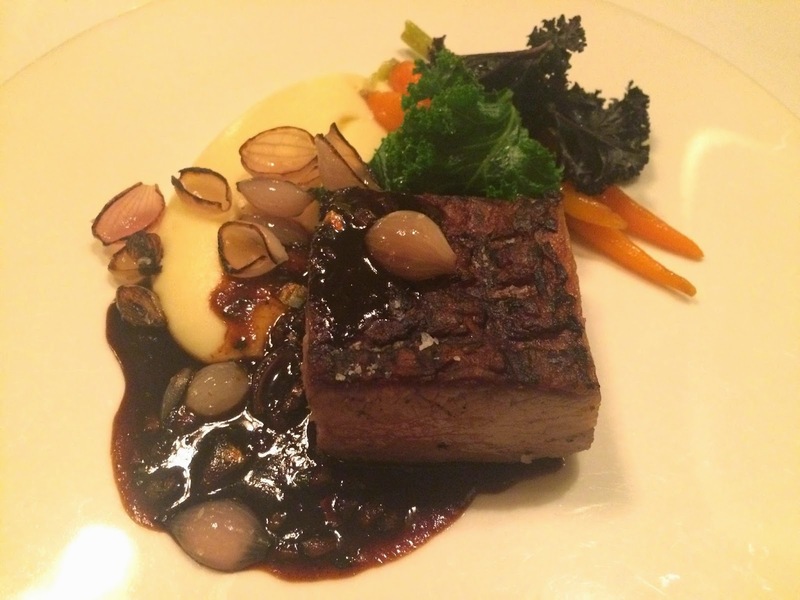 £40 for a brilliant dinner in a local restaurant could be worth saving up for. It can buy you an excellent meal in some of our very best eateries, including almost anything from the à la carte menu at Peace & Loaf. I'm grateful to him for inspiring this week's review - my task: find a meal in Newcastle that's infinitely better than Miller & Carter for the same price. I chose Jesmond Dene House because I’d already re-reviewed Peace & Loaf earlier this year, and I haven't written about Jesmond Dene since 2013, when I gave its tasting menu 6 stars. To be honest, I feared it had gone off the boil and I didn’t want new readers of www.secretdiner.org being misled by an inflated rating. I thought I had good reason to be worried, for Jesmond Dene’s satellite gastropub, St Mary’s Inn, parted ways with head chef Shaun Hurrell shortly after it opened. As a result, Jesmond Dene’s executive chef Michael Penaluna has been distracted by both establishments. It’s hard enough for an executive chef to keep tabs on a hotel’s weddings, conferences, breakfast and room service needs, without simultaneously troubleshooting another busy venue. Also, I'd heard that the fine dining restaurant had recently lost its front of house manager, and sommelier Danny Diver was stepping into the breach. 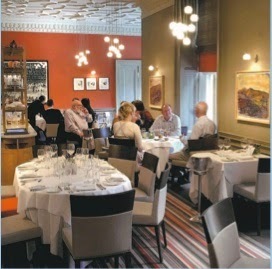 How was Jesmond Dene House, my North East Hotel Restaurant of the Year, coping with all this upheaval? Instead of the £75 tasting menu, I had to restrict my budget to the exact cost of my terrible meal at Miller & Carter: £22 for a main course, plus starter and dessert. Given limitless funds, I would probably have ordered the fillet steak, from Tim Oliver’s belted Galloway herd in Matfen, dry aged for 28 days, served with salt beef croquettes and charred leeks. I believe it’s the best steak in Newcastle, but it’s also £35. Or I would have tried the whole local lobster, but that's the same price. So I stuck to the House Menu. This was a real test. Hake, duck and risotto, all well under £20, ruled themselves out for being too cheap. That left either sirloin steak with bone marrow chips, or “72-hour beef short rib”. A cheap cut, but an exceptionally long cooking time. I was intrigued. 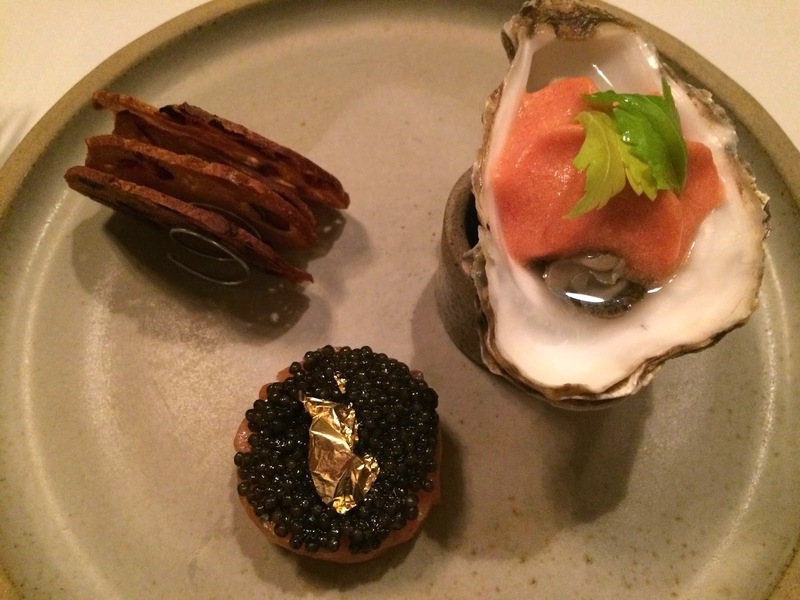 First they brought me a single Lindisfarne oyster with spicy bloody Mary foam and a little tower of house smoked salmon, capped with a gold leaf sitting on a spoonful of Exmoor caviar (yes, they farm Siberian sturgeon in Devon), accompanied by walnut and cranberry croutons. This was a spectacular amuse bouche. 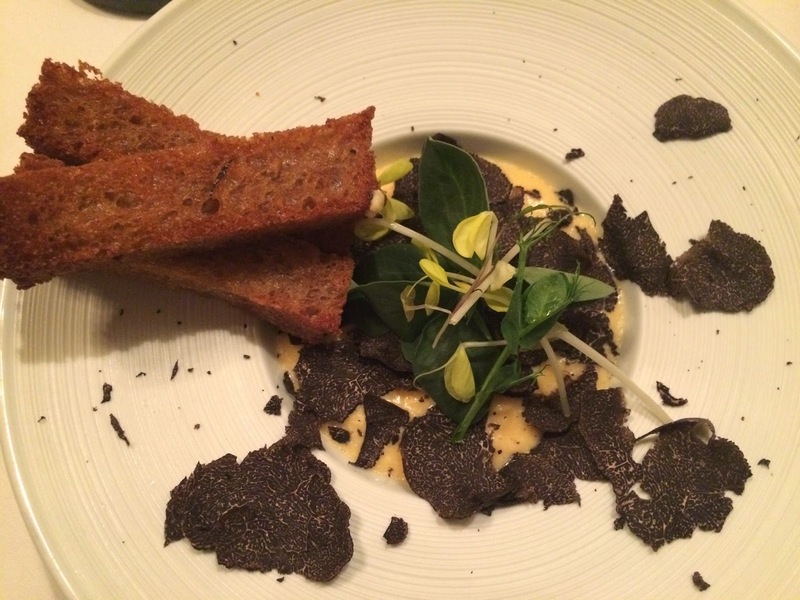 My starter whisked me to the Dordogne: a bowl of buttery scrambled eggs under a mound of fresh, musky Périgord truffle, together with a tribute to the home of confit de canard: three chunky duck fat soldiers, giving a whole new meaning to fried bread (£8.50). On top were oyster leaves and some tiny yellow shoots I didn’t recognise – Ken Holland, master grower, has been forcing peas to grow in the dark. Meanwhile Danny Diver, who seemed to be coping excellently with his double role of maître d’ and sommelier (the front of house team at Jesmond Dene are utterly professional and delightful), brought me a glass of young, crisp Chablis. The short rib was a revelation. Its fat had been cross-hatched and seared, then three days at 55 degrees in the sous vide had rendered this meat as soft as the most succulent pork belly, rich, deep and beefy, yet completely pink inside. It was served with smoked potato purée, charred pearl onions, carrots infused with honey and butter, and a dark, intense jus that had been laced with salty anchovy. I helped the jus cut the richness with a glass of Primitivo (£6.20). This dish, and the two that preceded it, would have graced any tasting menu. Surprising, accomplished, dramatic, they were as far from a conventional hotel table d’hôte as Miller & Carter is from a decent restaurant. I know that £40 a head is a lot for many readers, but this menu would have been perfect for any special occasion. There was a pre-dessert of carrot cake, before they brought a large plate of aerated chocolate. 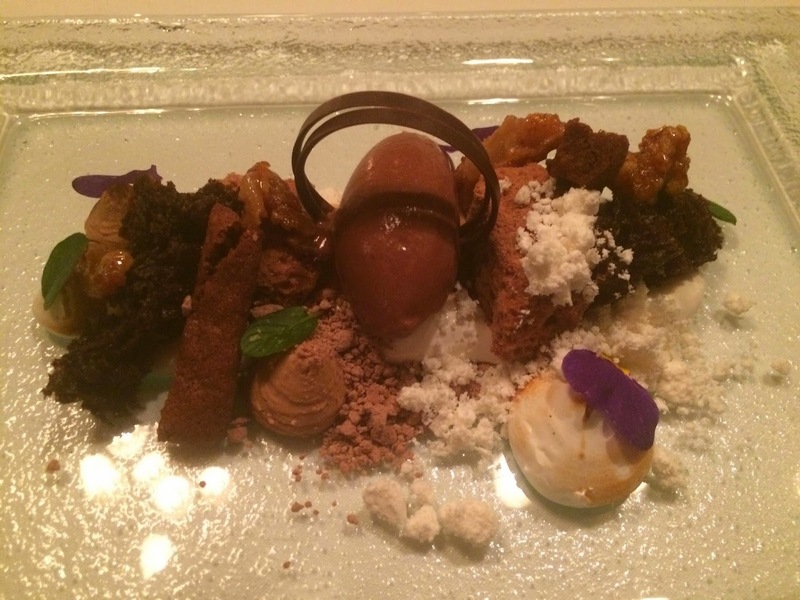 I got the point: warm scorched marshmallow, dark chocolate sorbet, bits of homemade Aero, meringue crumbs, a couple of large chocolate hoops in the middle – they’re all variations on an air of chocolate, but this didn’t inspire like the other courses. It needed more than candied walnuts, a mimosa flower and a few mint leaves to give it colour and contrast. It wasn’t bad, but it was fussy rather than breathtaking. Penaluna has appointed Troy Terrington as head chef here, and he’s clearly relishing his move from Blackfriars restaurant. Troy now has the dubious distinction of progressing from one star (that’s how I rated a poor meal at Blackfriars in 2011, so maybe they too are overdue another visit) to six. Far from going off the boil, this kitchen is now even hotter. Interesting. I went for afternoon tea there maybe 18 months ago and it put me off ever going back. Perhaps I'll reconsider when I have some pennies to splash. It's sad to hear of JDH troubles with it's newest venture. I've enjoyed food here at a wedding and been meaning to go back to try its' a la carte menu. Food and quality looks good. Thanks for the recommendation!